December 31, 2016 — Links International Journal of Socialist Renewal — A few months ago, I left the International Marxist Tendency (IMT), an organization of which I had been a member for more than seven years. Many friends and comrades wrote to ask me to outline the reasons for this decision. I write these lines primarily for them. As someone who had recruited many to the ranks of the IMT, I felt responsible to explain why I had left it and what path do I see ahead in the fight for socialism. I don’t claim to have found a magical formula or the answer to all my questions but hope that these humble lines will be of interest to some. 1. Unfortunately, there tends to be a lot of subjectivism in our analysis of the political situation. 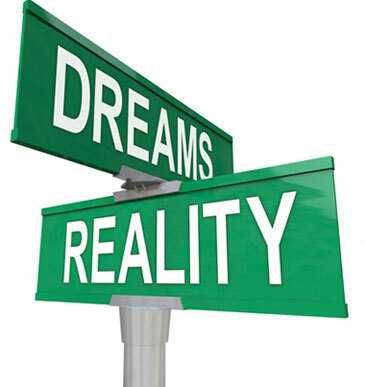 What tends to occur is that leaders, driven by their revolutionary passion, tend to confuse desires with reality. On the one hand, an objective evaluation of the situation is not carried out, the enemy tends to be underestimated and, on the other hand, one’s own potential is overestimated. 2. Moreover, leaders tend to confuse the mood of the most radical activists with the mood of the grassroots popular sectors. There exists a tendency in more than a few political leaderships to make generalizations about the mood of the people based simply on their own personal experiences, whether it is in the region they are in or the social sector they are active in, or based on the perception of those around them, who are always the most radicalized sectors. 3. Those that work with the most radicalized sectors will have a different vision of the country compared to those that carry out their political activities among the least political sectors. Revolutionary cadre who work in a militant popular neighborhood will not have the same vision of the country as those that are active in middle-class sectors. 1. 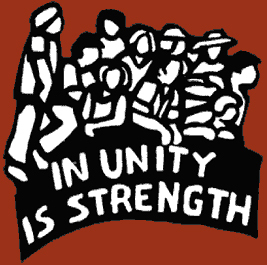 I have previously referred to the necessity of building unity among all left forces and actors in order to be able to cohere a broad anti-neoliberal bloc around them. Nevertheless, I do not think that this objective can be achieved in a voluntarist manner, creating coordinating bodies from above that end up being a simple sum of acronyms. 1. There continues to be a difficulty within the left to deal with differences. In the past, the tendency of political organizations, especially parties that declared they were parties of the working class, was always towards homogenizing the social base within which they carried out political work. If this attitude was once understandable due to the past identity and homogeneity of the working class, today it is anachronistic when confronted with a working class that is quite differentiated, and with the emergence of a diversity of new social forces. Today, we increasingly have to deal with a unity based on diversity, on respect for ethnic and cultural differences, for gender and for the sense of belonging of specific collectives. 1. The rejection by a majority of the people of the globalization model imposed on our continent intensifies each day given its inability to solve the most pressing problems of our people. 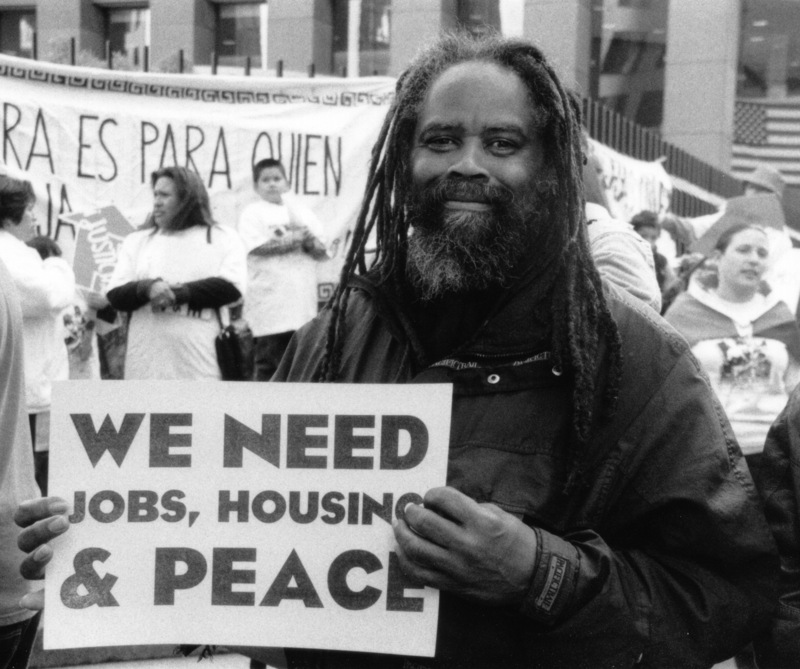 Neoliberal policies implemented by large transnational financial capital, which is backed by a large military and media power, and whose hegemonic headquarters can be found in the United States, have not only been unable to resolve these problems but, on the contrary, have dramatically increased misery and social exclusion, while concentrating wealth in increasingly fewer hands. 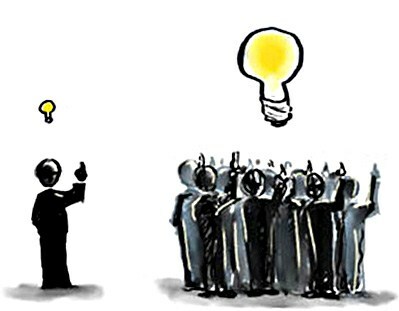 Ideas for the struggle #4 - Should we reject bureaucratic centralism and simply use consensus? 1. For a long time, left-wing parties operated along authoritarian lines. The usual practice was that of bureaucratic centralism, influenced by the practice of Soviet socialism. Most decisions regarding principles, tasks, initiatives, and the course of political action to take were restricted to the party elite, without the participation or debate of the membership who were limited to following orders that they never got to discuss and in many cases did not understand. For most people, these practices are every day becoming increasingly more intolerable. campaigning to become Mayor of Toronto, Canada, 1948. 1. 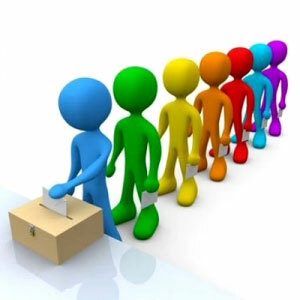 We have previously stated that politics is the art of constructing a social and political force capable of changing the balance of forces in order to make possible tomorrow that which today appears to be impossible. 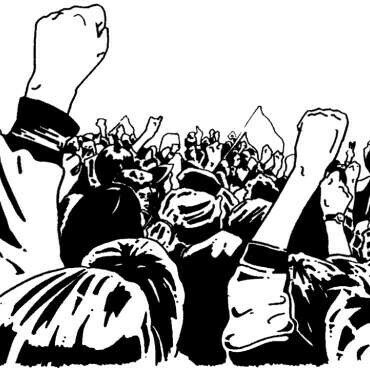 But to be able to construct a social force political organizations must demonstrate a great respect for grassroots movements, and contribute to their autonomous development, leaving behind all attempts at manipulation. They must take as their starting point the fact that they are not the only ones with ideas and proposals; on the contrary, grassroots movements have much to offer us, because through their daily struggles they have also learned things, discovered new paths, found solutions and invented methods which can be of great value. 1. Popular movements and, more generally, the different social protagonists engaged in the struggle against neoliberal globalization both at the international and national levels, reject — with good reason — attitudes that aim to impose hegemony or control on movements. They do not accept the steamroller policy that some political and social organizations tended to use that, taking advantage of their position of strength and monopolizing political positions, attempts to manipulate the movement. They do not accept the authoritarian imposition of a leadership from above; they do not accept attempts made to lead movements by simply giving orders, no matter how correct they are. September 6, 2016 — Links International Journal of Socialist Renewal reposted from Systemic Disorder — All of us who struggle for a better world are disheartened that so many advances of the 20th century have been lost. The mounting crises of the environment, the global economy and ever more constricted political systems are unmistakably moving humanity toward a cliff. 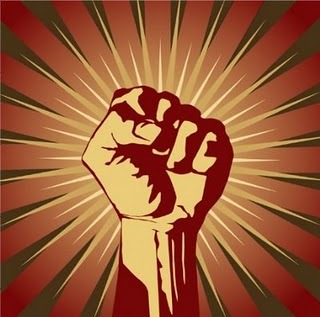 And yet social movements, for all the victories here and there, again and again fail to sustain momentum. Why are we in this predicament? No single person or organization can fully answer such a question, of course, but we do need to seriously reconsider what has been done and how. In this spirit, Marta Harnecker’s “Ideas for the Struggle” is a document that merits wide discussion. Originally written in 2004 and updated this year, the paper consists of 12 short, closely linked sections. And although written with Latin America in mind, the ideas are borderless. 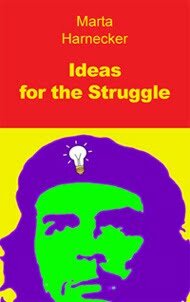 August 30, 2016 — Links International Journal of Socialist Renewal — Ideas for the Struggle should be required reading for all organizers, political activists and would-be revolutionaries in these troubling and challenging times. 1. 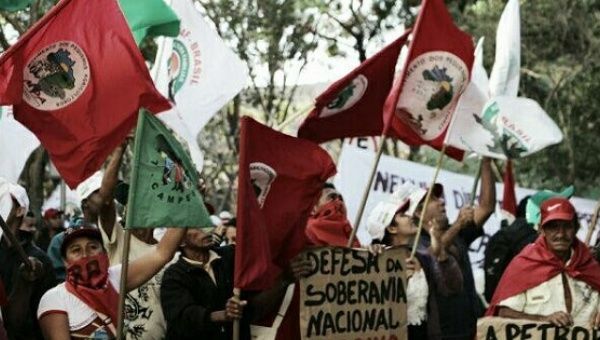 The recent and not so recent popular uprisings that rocked numerous countries across the world have clearly demonstrated that the initiative of the people, in and of itself, is not enough to defeat ruling regimes. Together with New and Old Project, Links International Journal of Socialist Renewal is republishing a revised and updated edition of Marta Harnecker's "Ideas for the Struggle", a collection of 12 articles looking at the question of how to organise for socialism in the 21st century. 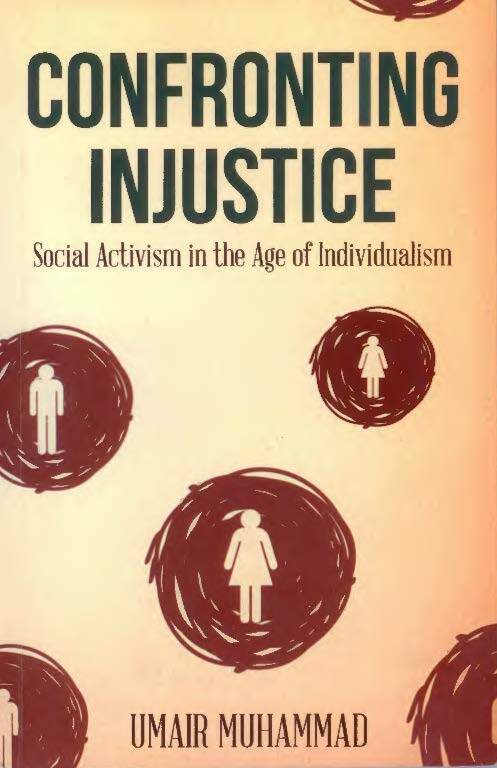 The following discussion of strategy for social change, by Umair Muhammad, was first published under the title “An Altered Position,” as an afterword to the second edition of his book Confronting Injustice: Social Activism in the Age of Individualism. August 17, 2016 — Links International Journal of Socialist Renewal reposted from John Riddell's blog with permission — During the summer of 2014 I became involved in an anti-pipeline campaign in Toronto. Part of the campaign against the oil pipeline involved occupying worksites. I myself was able to take part in two such occupations. The first occupation resulted in a one-day stoppage of work. The second stopped work for at least two days and resulted in work equipment being carried offsite. The occupations were in part meant to serve as precursors for larger actions to come, allowing the activists involved to build links and gain experience. August 10, 2016 — Links International Journal of Socialist Renewal — When the 15-M movement broke out onto the streets across Spain in 2011, it didn’t coalesce into a series of political parties on either end of the political spectrum. In fact, there was a common declaration that stood out among all of the indignados: “They don’t represent us”.